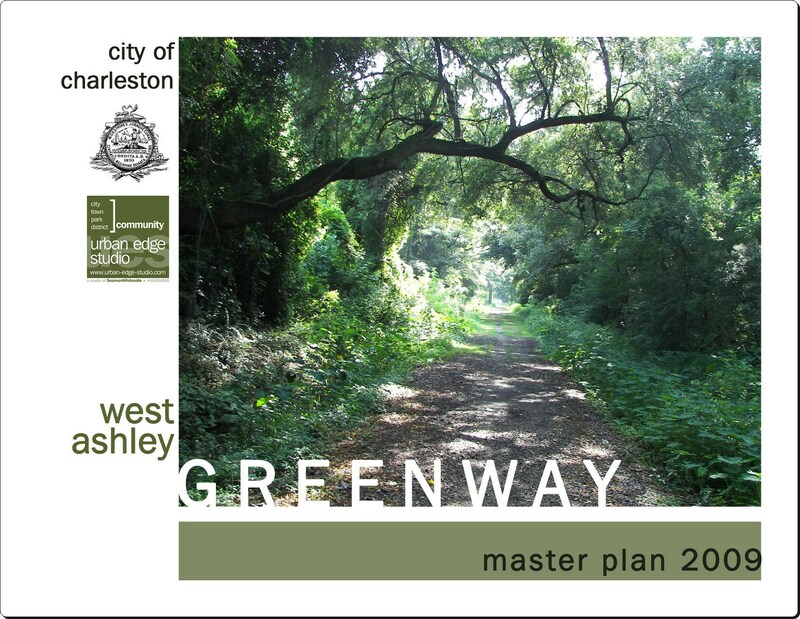 In 2010 the City of Charleston unveiled a new vision for the West Ashley Greenway. The plan includes a detailed description of each unique segment of the 8-mile long greenway and proposed improvements along it. The West Ashley Greenway Master Plan focuses on the issues of neighborhood context, accessibility, amenities and overall connectivity. Located on a former railroad bed between Albemarle Road and Main Road in West Ashley, the Greenway has been a popular place for residents and visitors to exercise, walk and bicycle through scenic locations in neighborhoods, woods, fields, creeks and marshes. The City leases the eight mile linear park on a long-term basis to provide recreational and transportation trail opportunities for the public. 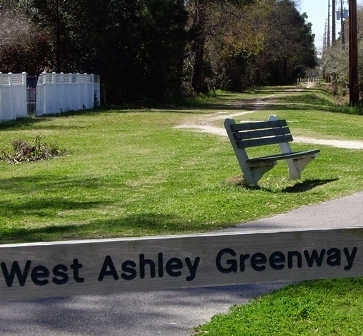 The West Ashley Greenway is part of the City’s Park system and is a significant piece of the City’s overall system of off-street bicycle and pedestrian paths. The bicycle/pedestrian path system consists of over 42 miles of interconnected paths linking the City’s parks, schools, neighborhoods, historic and natural landmarks and commercial areas. The extensive length of the park provides a diverse experience from urban, mixed use neighborhoods, to suburban and rural-type settings. Tremendous opportunity exists to improve the greenway by creating more accessibility and amenities that would not only enhance the adjacent neighborhoods but allow the entire City to enjoy this beautiful public space. The City helped sponsor a series of public meetings in 2008 to gather input for a West Greenway concept plan. The City also hosted an Open House and Design Workshop with urban edge studio (a studio of Seamon Whiteside and Associates) in August of 2009. A public presentation of design concepts followed the workshop.